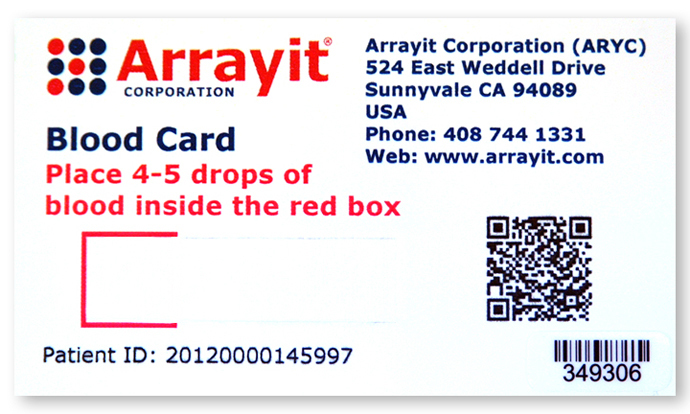 Arrayit advanced blood card kits allow collection, fractionation, sampling, shipping and storage with a single blood kit. 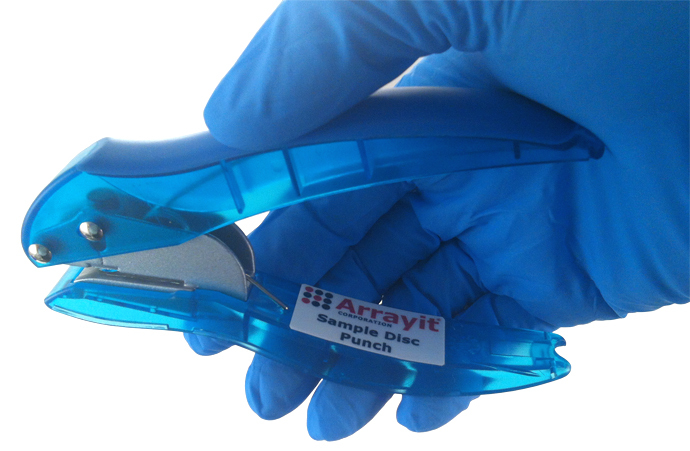 Arrayit Blood Card Sample Disc Punch permits the rapid and precise generation of 6 mm sample discs from blood cards to isolate serum, mRNA and DNA samples. 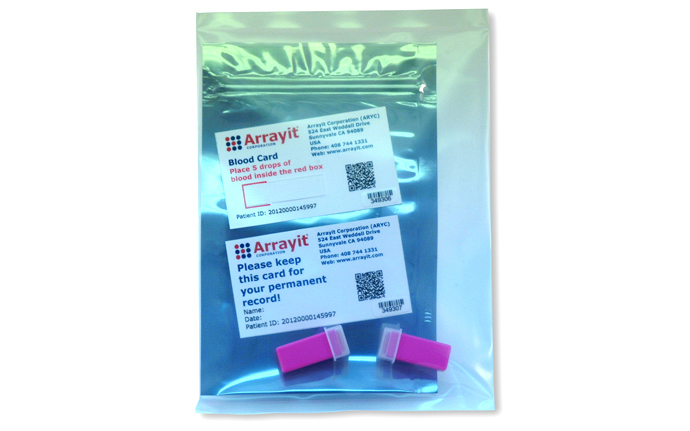 Injection molded plastic is light solvent resistant and spring loading allows ease of use.